토마토, 베타 카로틴, 레드비트와 샐러리, 당근 등 비타민과 미네랄등의 영양소가 풍부한 채소들의 분말입니다. 물, 주스, 스무디, 수프 등에 섞어 드셔도 좋습니다. 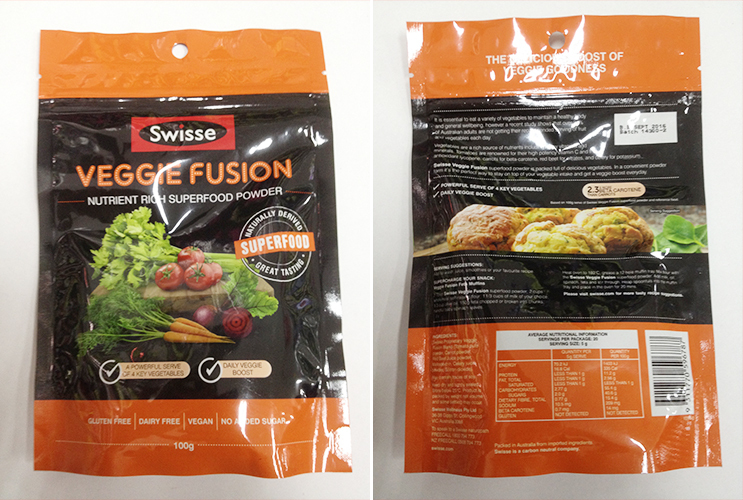 Swisse Proprietary Veggie Fusion Blend (Tomato pulp powder, Carrot powder, Red Beet Juice powder, Maltodextrin, Celery juice powder, Silicon dioxide).